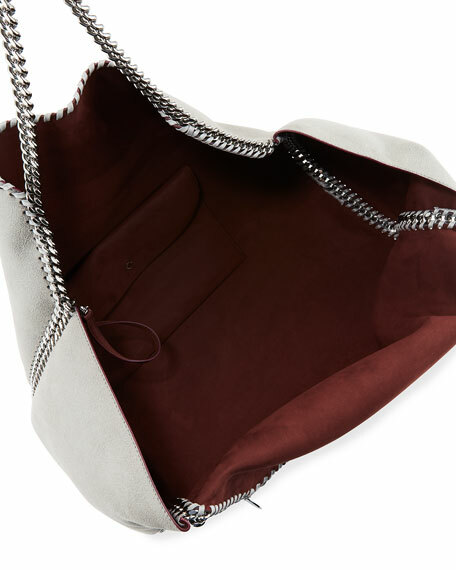 Stella McCartney metallic faux-leather (polyester/polyurethane) tote bag. Approx. 13.5"H x 16"W x 8"D.
Doubled chain shoulder straps with logo disc. Open top with magnetic closure.